First up on my list of FAVORITES today are some kids fashion finds from Walmart! 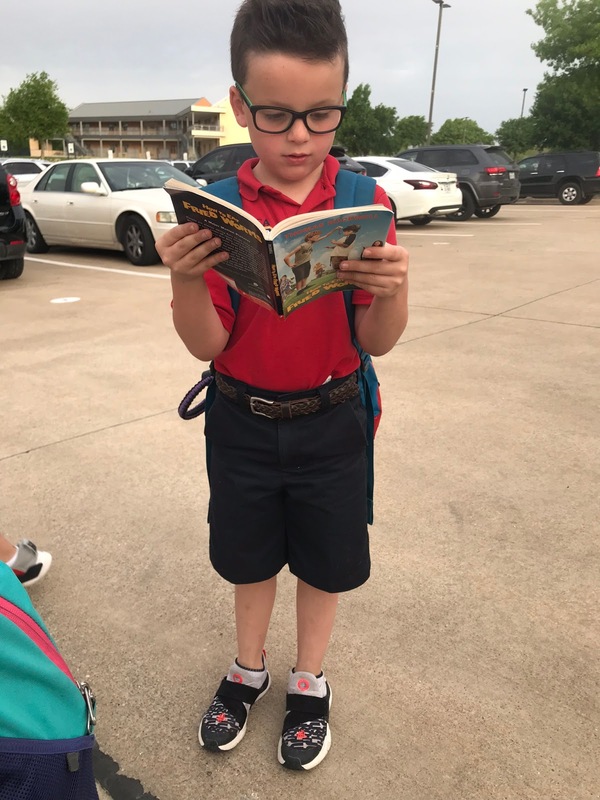 I've been so impressed by the items that I've purchased from Walmart recently and I was PUMPED when they approached me about sharing kids fashion. Y'all know I LOVE to shop for my kiddos and I had so much fun finding some really cute summer pieces for Griffin. it's under $5. Yes... UNDER FIVE DOLLARS!!! The dress is a cotton/poly blend which I'm loving because that means it will wash well and won't shrink. The little flutter collar is precious and Griffin has dubbed it her new FAVORITE dress. And for under $5 it's mine too. If I'm being 100% honest, for the price point I really wasn't expecting much in terms of quality but they actually blew me away. I also grabbed this two-pack which included a sweet bunny print and the BEST rainbow stripe! And yes, they were two for $10 as well! I mean... tell me that isn't the most precious thing you've ever seen! 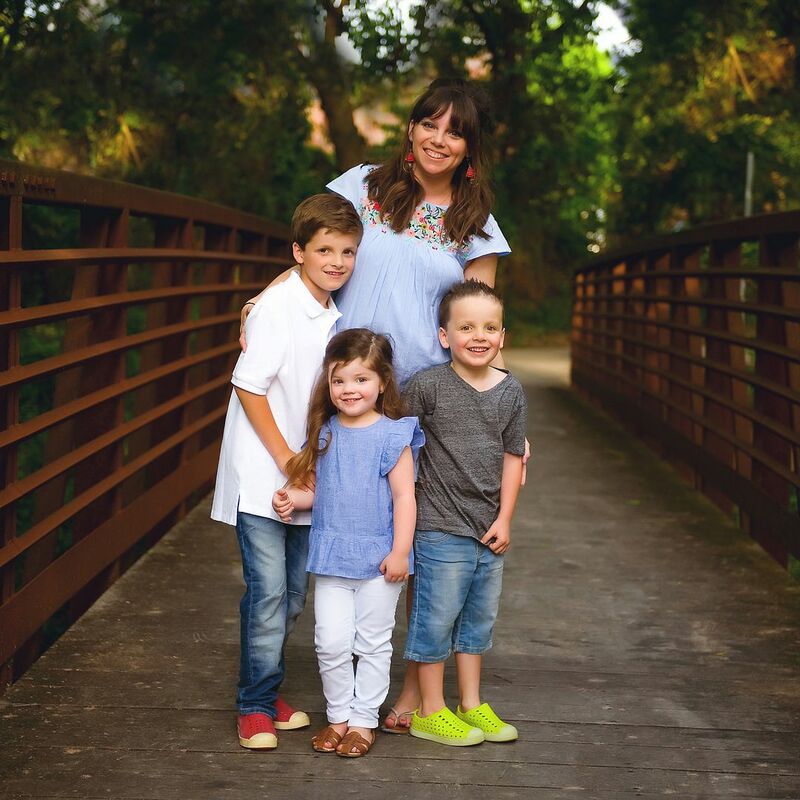 These dresses go up to a size 5 and while Griffin is about to turn 6 I definitely think she'll be able to get a summer's worth of wear out of all of them. These would make awesome Easter basket fillers! They also come in a great navy and blue/floral combo - I'm LOVING the navy! You know that I have a deep love for anything mustard/umber and when I saw this jacket online I was GIDDY! We're headed to Colorado again this summer and I knew that it would be the perfect layering piece. It's lightweight but just enough for chilly mornings. Again, I was really excited about the Spring/Summer options available at such a great price point AND they shipped and were at my house within 48 hours of ordering for FREE! 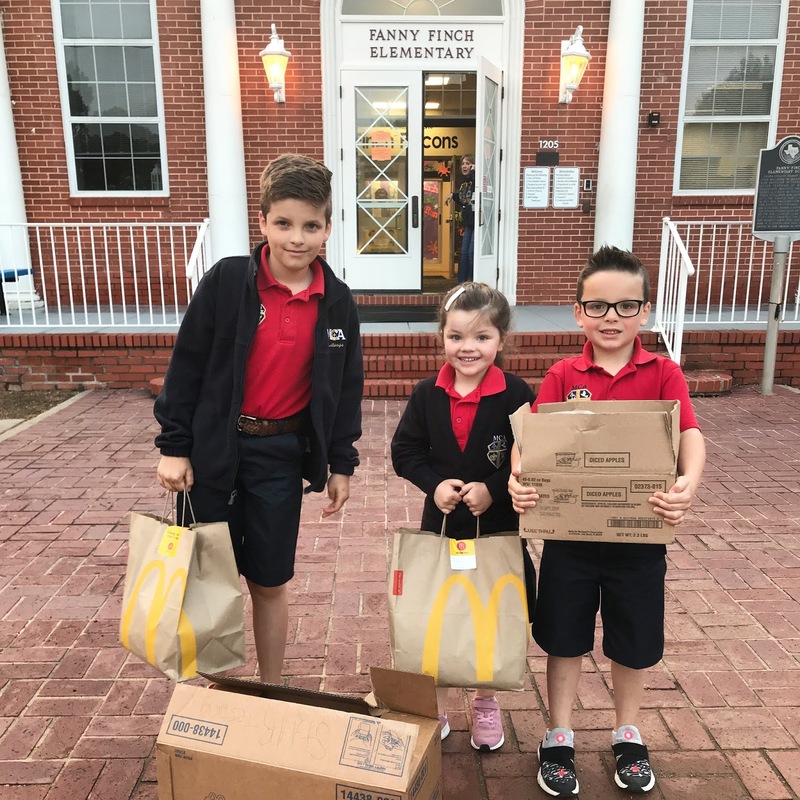 Another FAVORITE from the week was getting to deliver McDonald's breakfast to the staff at Finch Elementary here in McKinney. The STAAR test was Tuesday and we loved getting to bring something fun to start their days on Monday and let them know how much they're appreciated! ... and the moms that put it together did SUCH a good job! Everything was so cute! How fun are these skylines! 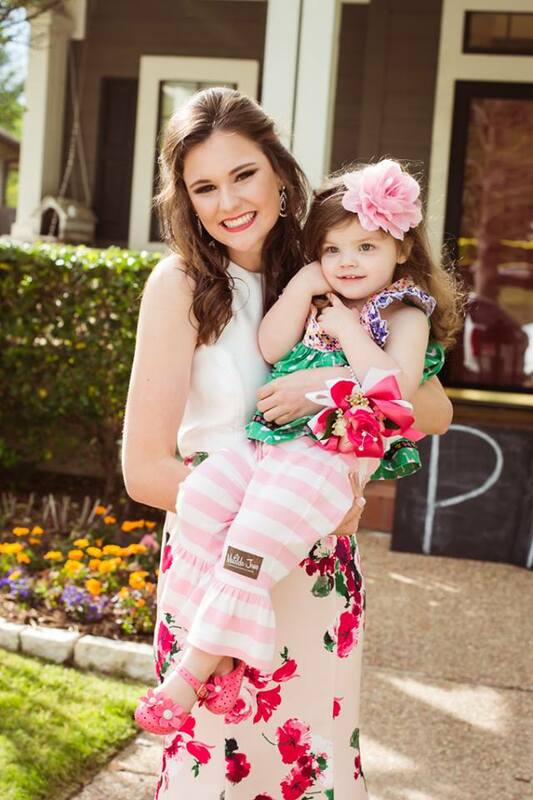 ... we love you, Anna Grace!!! 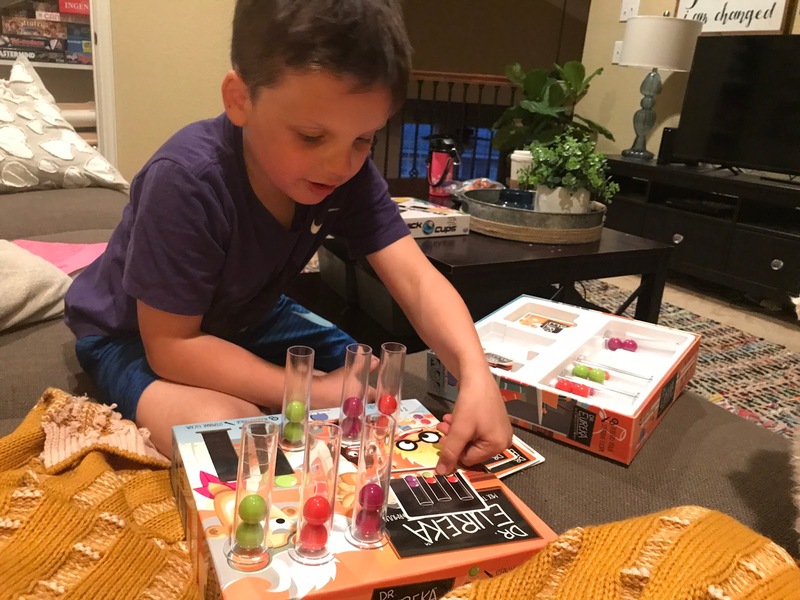 ... and Mason and I have been playing one of our very FAVORITE games every night. This weekend we have allllll the sports, one last birthday blowout and a bunch of work getting ready for a big week at school next week. Here's hoping y'all have a fantastic Friday and a great weekend! PS - this post contained affiliate links and was sponsored by Wal-Mart. Thank you so much for reading and supporting my blog! Those dresses are DARLING. We see you, Walmart. You have a little model on your hands! Griffin looks absolutely adorable in those dresses! When I saw your post title about WalMart, I was coming to tell you about the dresses, ha! We literally bought every single one you featured a couple weeks ago. 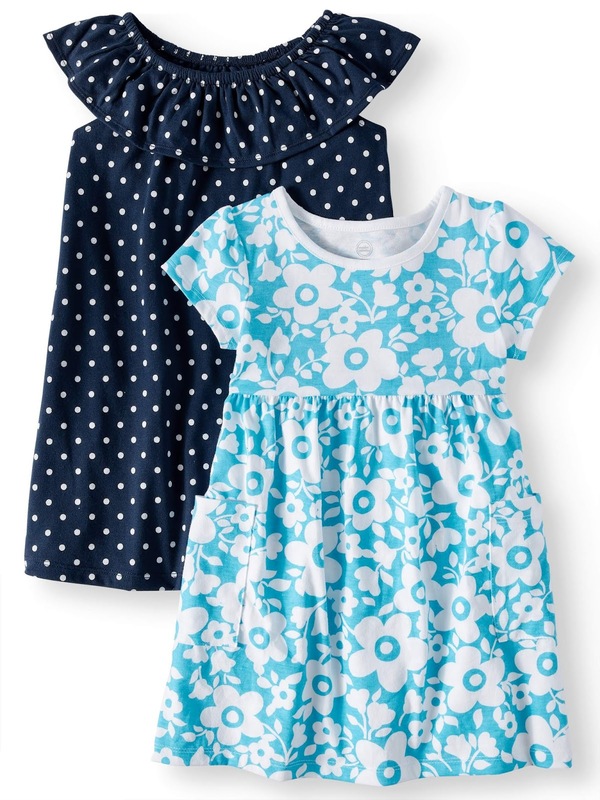 Perfect play dresses! 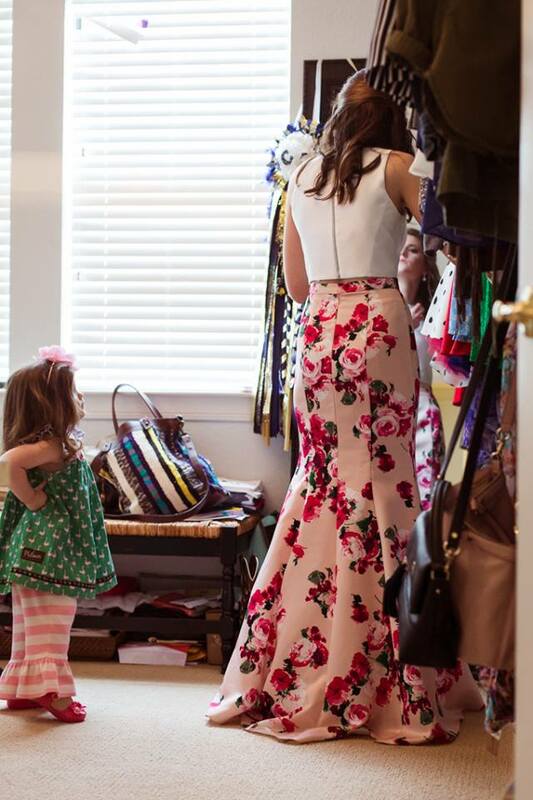 Those dresses are so cute, and I love that picture of G with Anna Grace! How cute! Except that it feels like YESTERDAY! I love the leopard print rug. Just wondering where it is from and if you could add the link of where to buy if still available? Happy Friday!! It's actually a carpet remnant that a carpet store bound! These dresses are so cute. I need to share this with my sister out in Alaska. She has all the girls! 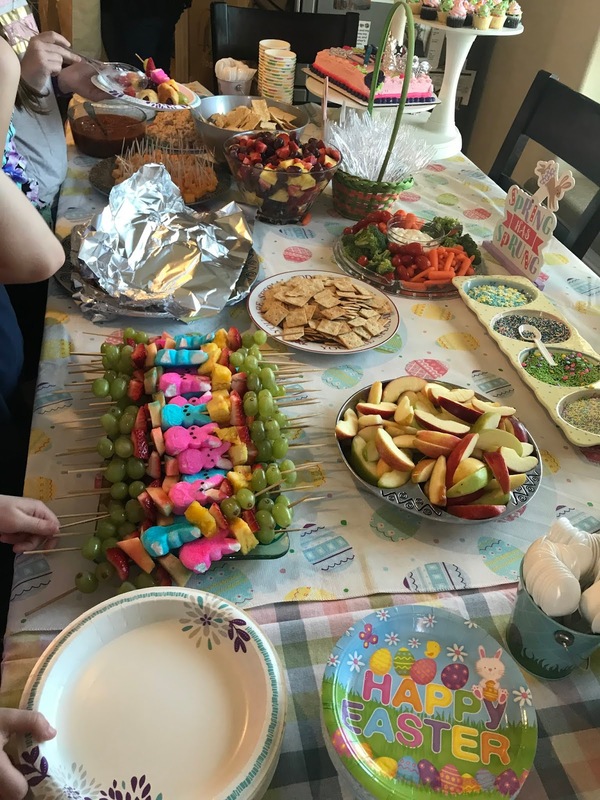 Thank you for hosting this link up! YES! She needs to stock up! They're so sweet! But where is that dinosaur dress from?? So cute! It's from Peyper Kids - isn't it precious??? What are those colored blocks she's playing with? They look so fun! They're SO CUTE and such a great price! Crossing my fingers they make them in bigger sizes next Spring! Wow...Walmart is stepping up! So cute and quite the poser. 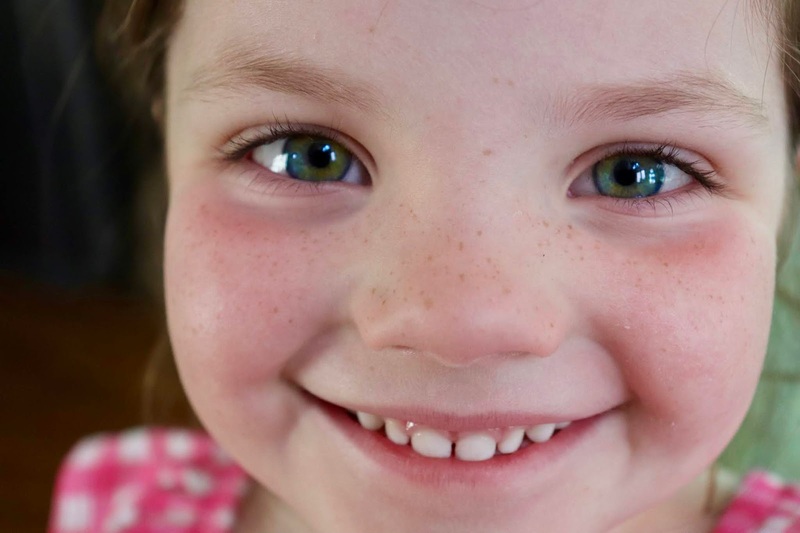 I remember when you shared that sweet picture of Anna Grace. She was stunning and Griffin was adorable looking up at her! 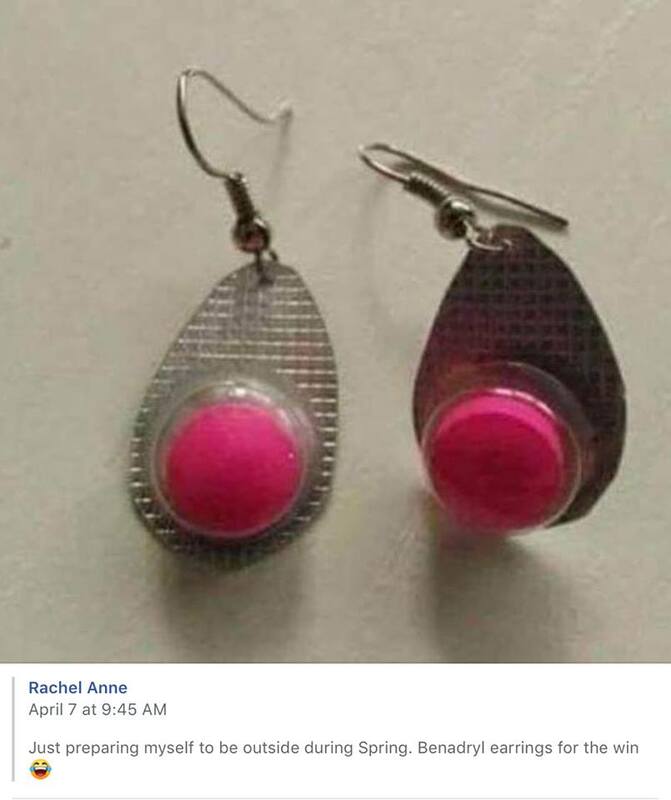 Lol you had to follow it up with the Benadryl earrings...hysterical. At first glance I thought they were actually real and I was so confused on why they were a favorite until I read further! Too funny...have a great weekend! I'd also like to know where the blocks and frame for them came from! Those earrings are a hoot and I love those kinds of dresses for Lucy :) So cute and easy!!! PLus love the colors! I want that mustard jacket in my size please! Adorable, all of it! Those Walmart dresses are everything! I have an embroidery business and the Rainbow Dress has been my biggest seller. Everything is better with a monogram right? Ha! SO many cute clothing choices for girls... I've noticed they've upped their game slightly for women too but have yet to actually drag myself there to try anything on. I have one boy that has made it all the way through the grocery store with me while reading.. not sure how he navigates and reads but it does make me smile.